RANGOON — Taungup Township administrator Lu Maw said local police arrested two Arakan Army soldiers found in possession of 50 walkie-talkies near the town’s outskirts on Saturday. “Both of them are from AA [Arakan Army] but I can’t provide detailed information,” said Lu Maw, who referred The Irrawaddy to the township police. Contacted on Monday, police officer Sithu Htike confirmed the detention of two men but declined to discuss their case, saying he did not have official permission to speak to the media. Elsewhere in Arakan State, more than 200 people have taken shelter at monasteries in Kyauktaw and Mrauk Oo townships in recent weeks, according to Khiang Kaung San of the Wunlark Development Foundation, one of several civil society groups providing rice and other food supplies as well as blankets to the displaced. 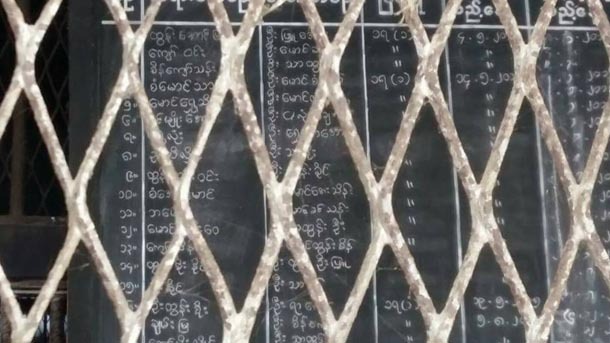 In April of last year, the Arakan Army and government troops clashed and at least 20 locals were detained by police in Kyauktaw, with the suspects accused of unlawful association with the ethnic armed group. 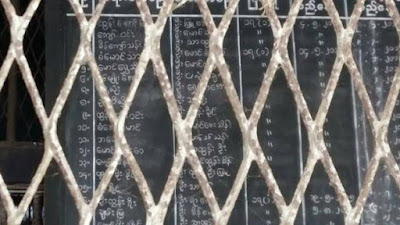 In addition, 18 Arakan Army soldiers were arrested, according to Kyauktaw Township police chief Win Kyi. “Verdicts are pending, [the cases are] not finished yet and some witnesses were unable to attend hearings at the courthouse,” Win Kyi told The Irrawaddy on Monday. The father of one of the suspected Arakan Army soldiers, Tha Tun Oo from Kyaukphyu Township, said his son Maung Than Wai was believed by the family to have taken work abroad before his name appeared in state media accounts of the conflict in April. He has since attended more than five of his 24-year-old son’s hearings in Kyauktaw since he was detained, but as the trial has dragged on he has struggled to finance the trips to the courthouse. The latest skirmishes first broke out between the Arakan Army and government troops in Kyauktaw Township, northern Arakan State, on Dec. 27. Last week, state media reported the Burma Army’s intention to “remove” the ethnic armed group from Arakan State. The reports said more than 15 clashes had occurred between the two sides in the span of a week, killing one high-ranking officer and several other government soldiers. The bodies of three Arakan Army soldiers were also recovered, according to military mouthpiece Myawaddy. Arakan State shares a border with Bangladesh, and farther north Burma borders northeast India, where several insurgent groups operate. On Friday, the Arakan Army released a statement claiming that at least 150 government soldiers had lost their lives in the recent fighting, while also asserting that only two of its members had been killed. The Arakan Army statement denied any effort to ally itself with foreign forces.